37131 pauses near Histon bypass bridge while the guard shuts the gates at the station. Judging by the clean area around the engine number, the new TOPS number has recently been added. Its previous number was D6831. 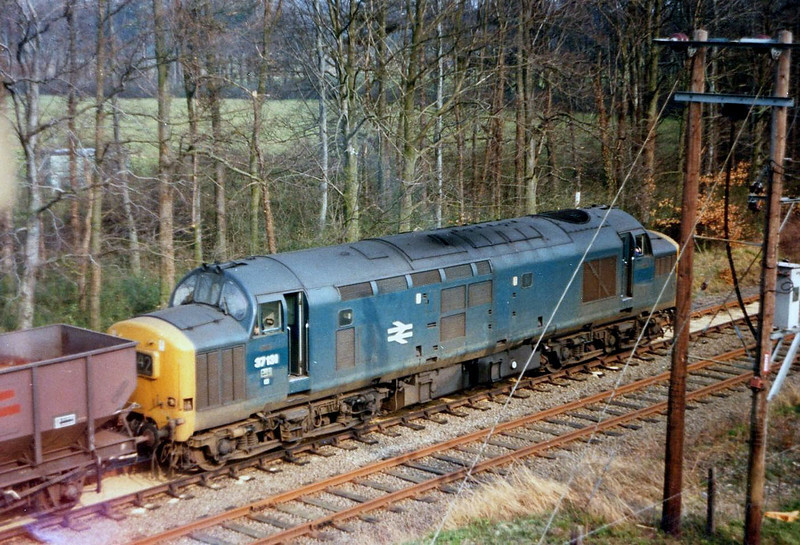 The loco was scrapped on 14th April 2007 at Booths of Rotherham. Image dated 25th March 1974.